So, you’ve contacted your travel agent, booked a trip, and packed your bags, but are you really ready to go? Before you leave, take a moment to download these useful travel apps that will help make your vacation a smooth and stress free adventure. Load them up (and sign into your personal accounts when required) while you’re at home where the Wi-Fi is much faster and safer. 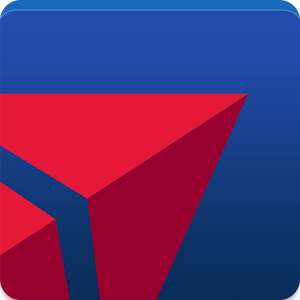 Airline apps: There’s one for just about every airline: American, Delta, JetBlue, United, etc. Enter your frequent flyer numbers and flight information. Many allow you to check in, pay for bags, change your seat, check for upgrades, and display your boarding pass. Flight Board: You know those digital arrival and departure boards you see at the airport? You can actually see them on this app. This comes in handy, especially when traveling during bad weather. Stay on top of delays and cancellations, or check out the boards at your connecting or arrival city to get a glimpse of potential problems that might lie ahead. 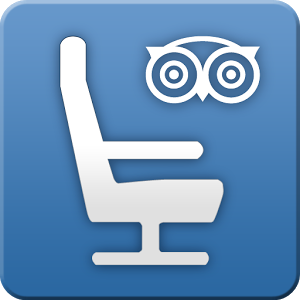 SeatGuru: This is THE source for seat reviews, information, and aircraft configuration that separates the good from the bad seats on virtually any flight and airline. Want to avoid those pesky seats that don’t recline, don’t have a window, have minimal legroom, or are too close to the bathroom or galley? Check out this app. FlightTrack: This app give you 24/7 timely push notifications of departure, arrival or gate changes to your flights or those of friends and family. It even provides aircraft speed and altitude and colorful, zoomable live maps with satellite and weather radar imagery, and flight paths when available. Airport terminal maps are included (handy when you are trying to catch a connecting flight). You can also link to SeatGuru and FlightBoard. GateGuru: Trying to decide if the airport dining (and coffee) selection is better before or after security is always a challenge. This handy app (my kids’ favorite) offers a guide to eateries, shops, and services at the terminal and at the gates where you will be departing and arriving, making the decision much easier! LoungeBuddy: Not all airport lounges are exclusively for first class flyers. This app allows you to check out more than 2,000 lounges in 600 airports, and determines which you can access. Enter the details of your trip, airline status and membership, or premium credit card info (like Amex Platinum) and it will let you know which lounges you can visit for free or for a one-time fee. Includes lounge hours and locations. TripCase: This is THE place to keep ALL the details of your trip in one place — an itinerary management tool that also delivers real-time information, delays, and cancellations, and consolidates reservation numbers and hotel and car rental addresses and phone numbers. Just sign up and then start forwarding all of those confirmation emails – hotel, car, flights, tours to TripCase, and it will merge the information into trips for you and trips to follow (for family and friends). WhatsApp: This international calling and messaging app allows you to call someone around the world for free as long as that person also installs the app – no hidden costs or international fees. It even saves incoming messages when your phone is off. Easy to use, your contacts are transferred from your phone’s address book. Currency Convertor: There are plenty of them out there — pick one that’s free and you are ready to go from pounds to pesos, and dollars to dinars. Sky Guide: This is not specifically a travel app, but we use this whenever we are out of the New York area and visiting a place with less light pollution. Satisfy your inner amateur astronomer and identify all those heavenly bodies you can only see in a truly dark sky. The app uses your device’s own GPS to know which direction you are pointing your phone to immediately reveal a map of the stars, constellations, galaxies, and planets, above and below the horizon. OpenTable: This online, real-time restaurant reservation app is available in many cities around the globe, and includes reviews and a frequent dining program. Search by location, date, time, cuisine, or price range. Amex App: This one is for the American Express card, but most credit cards will have an app to help you keep track of spending, pay your bill, check your reward benefits, and most importantly, provide you with immediate fraud alerts if your card has been stolen or compromised while traveling. This entry was posted in *Travel Tips, Travel Apps and tagged 12 top travel apps, top travel apps, Travel Apps. Bookmark the permalink. Yes! That would be great! Thanks for reading and re-posting. Board might have made our day easier.